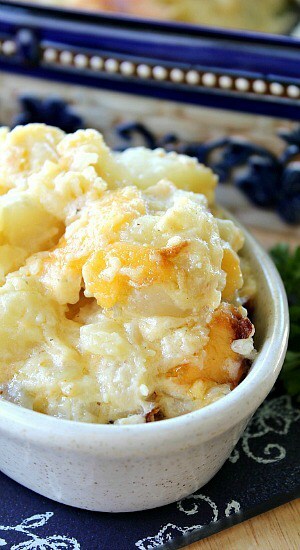 There’s nothing better than a cheesy baked potato casserole to be served with your favorite main meal. 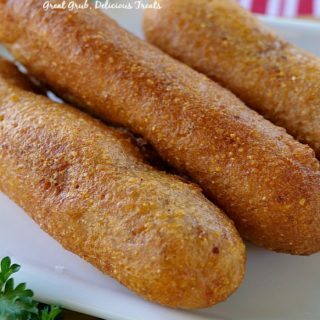 This is a great side dish to eat with a steak or roast dinner, or as a vegetarian meal. 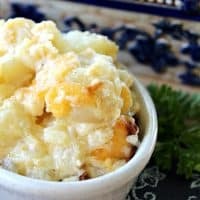 Deliciously cheesy with tender bite size potatoes, a hint of garlic and delicious sour cream making this a super creamy dish that the whole family will enjoy. 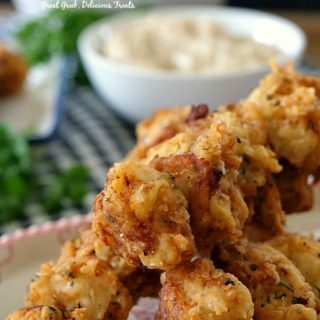 This dish could be made with sliced potatoes instead of bite size cubes. 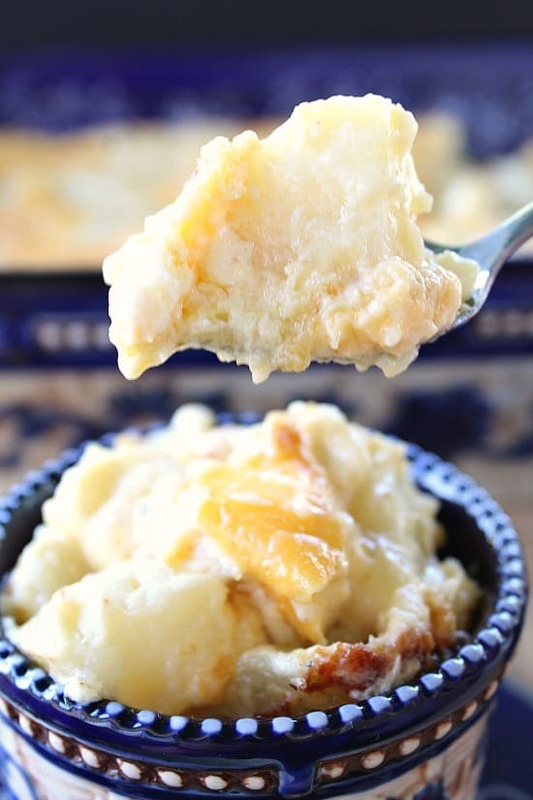 More like a scalloped potato dish. Either way, this is delicious! Usually I would grate cheese for a recipe like this but today I decided grating wasn’t something I felt like doing. So, cutting the cheese into really small chunks worked perfectly. But grated cheese can be used instead. Funny thing, as I was taking the pictures for this blog post, my son and his girlfriend stopped by. Neither of them could wait until I finished up the pics, they grabbed one of the spoons and started digging in. Seriously, they were full before they even came into the house they ate so much! 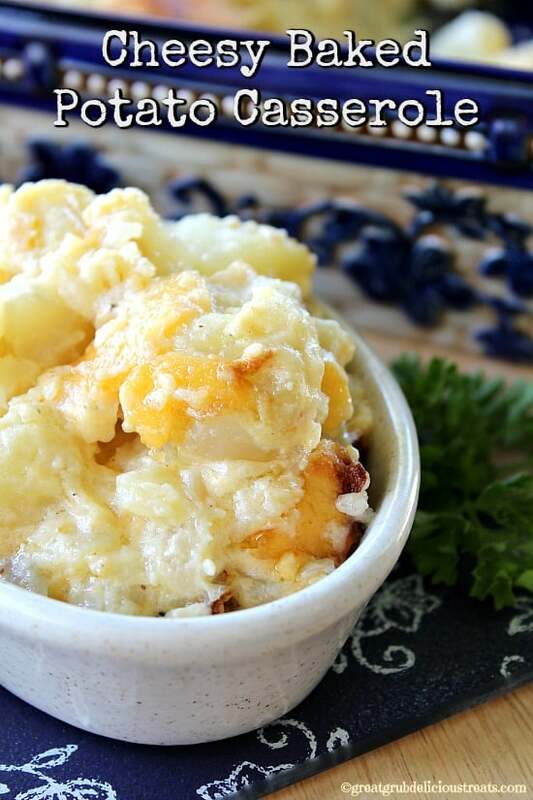 Ready to make your own delicious cheesy baked potato casserole? What I do with potatoes most of the time if I’m going to use them in a salad or something like this casserole, I boil the potatoes whole with the skins on. Make sure to rinse the potatoes first, put the potatoes into a large saucepan or dutch oven and cover with water. Bring to a boil and cook until the potatoes are still firm but when poked with a fork, they are somewhat done. Next, drain the water and set the pan back on the stove and let the potatoes cool. Once cooled and each potato is able to be handled safely, remove the skins from the potatoes. 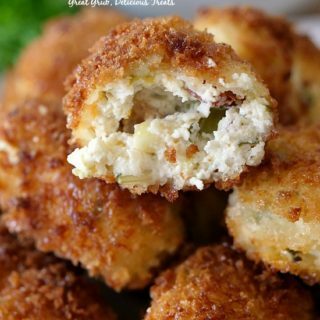 Cut each potato into bite size pieces and mix in with all the other ingredients. 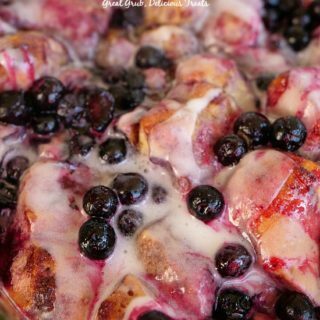 Add to a baking dish, bake and then enjoy! 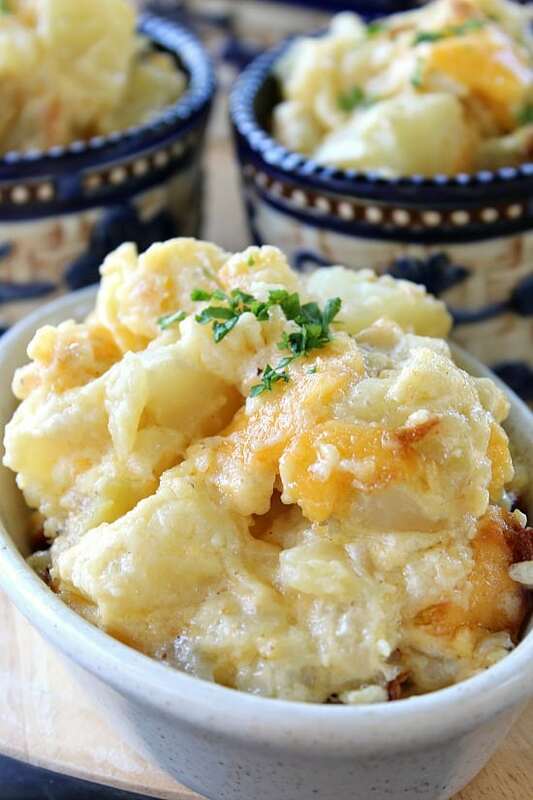 Ready to dive into this delicious, cheesy baked potato casserole? 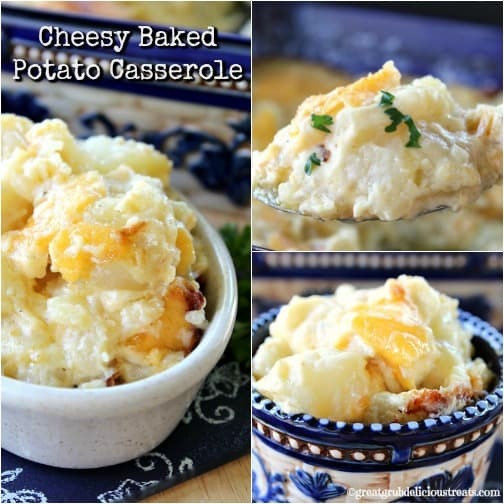 Here are a few other potato recipes on the blog that you will enjoy. 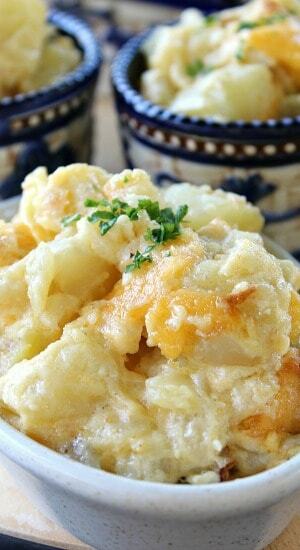 The Best Mashed Potatoes, Cheesy Potato Casserole Bake, Cheesy Breakfast Potatoes with Crispy Bacon, plus others, so make sure to check all the delicious tasting potato recipes on the blog. In a large dutch oven, add rinsed whole potatoes, with skins on, to pot. 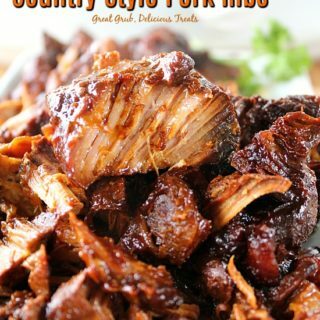 Bring to a boil and cook until fork tender, about 25-30 minutes. Drain water and let potatoes cool enough to handle, then remove skin. Preheat oven to 350° and spray a 13 x 9 baking dish with non stick spray. Set aside. In a large mixing bowl, stir soup, sour cream, butter, onions, garlic, seasoning, salt and pepper until well combined. Add 2 cups of cheese cubes, stir. Cut potatoes into large bite size pieces and add to mixing bowl. Stir until well coated. 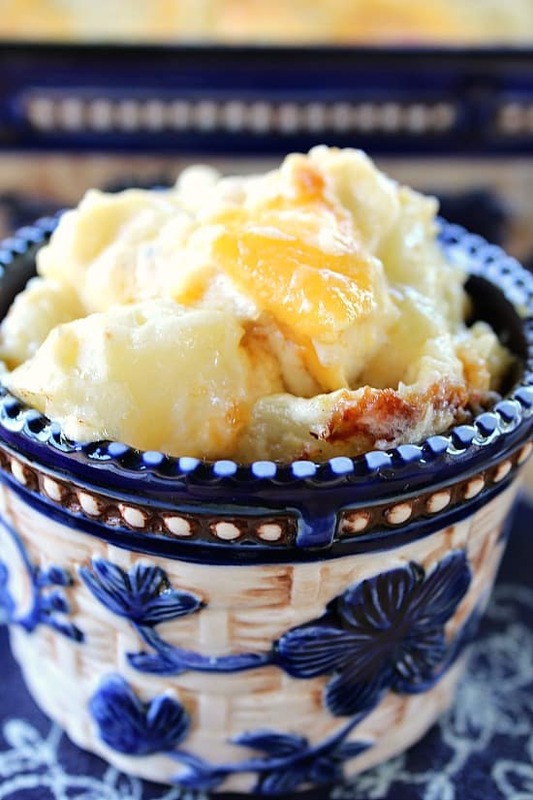 Spoon into baking dish and top with remaining cheese cubes, grated cheese can be used instead. 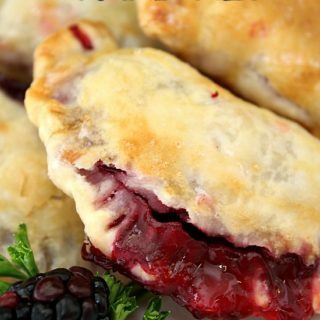 Bake for 50 minutes or until cheese is melted and starting to brown. Have never heard of “Slap ya mama” seasoning and have never seen it here in Washington State. Is there anything I can use in its place? Thanks, the casserole looks so good.